Google Phone: Nexus One unveiled! 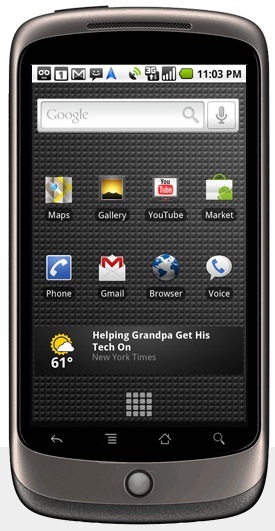 After an anticipated wait and much buzz in the blogosphere, here comes the very first Google Phone, the Nexus One! Customers can buy the phone now at Google's site; Google.com/phone. It costs $530 unlocked, $179 with a T-Mobile contract. Vodafone and Verizon on the other hand are expected to make it available sometime in the first quarter. Buyers must use Google Checkout to buy the phone and must have a Google log-in. Google's Mario Queiroz holding the new Nexus One smartphone. 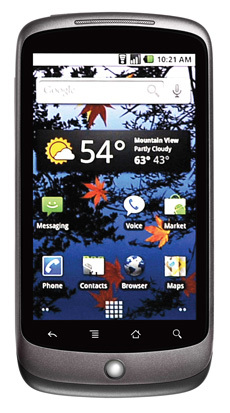 The Nexus One, as shown on Google's product page.